Car accidents happen every day in Opa-Locka. Sometimes people get hurt and other times they don’t. But if you were injured in any type of car accident in Opa-Locka in Miami-Dade County, Florida then you should reach out to an Opa-Locka car accident lawyer as soon as possible. Insurance companies will use all of the possible defenses and strategies against you to keep you from getting full compensation. You need to find the best Opa-Locka car accident lawyer you can find to make help you make a full and fair recovery for your lost wages, medical expenses and your pain and suffering. At the Wolfson Law Firm in Miami, our Miami personal injury lawyers have guided, advocated for and represented people from Opa-Locka and all of South Florida since 1963. Our Opa-Locka car accident injury lawyers know what to do to help you in your pursuit of justice, accountability and financial compensation. We are available for free consultations whenever and wherever it might be most convenient for you. Just call us at (305) 285-1115 and let’s discuss your Opa-Locka car accident right now. Opa-Locka was founded in 1926 by aviation pioneer Glenn Curtiss. Curtiss developed the city with a Moorish architecture theme. In 1926, the city was severely damaged by a hurricane, which brought the land boom to a halt. Only few Moorish-style buildings survived the devastation. Yet the main city government agencies are located on Ali Baba Avenue. 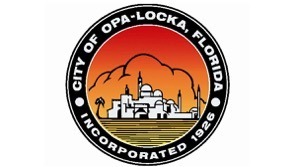 Opa-Locka’s total population does not exceed 16,000 inhabitants per the latest census in 2010. Despite the small size of the city (less than five square miles), Opa-Locka was rated to have one of the highest crime rate in the country. However, the city has been making considerable efforts in improving the quality of life for its residents by bringing Affordable Housing and local business incentives. Opa-Locka is surrounded by Miami Gardens, Hialeah and Golden Glades. Our Opa-Locka car accident injury attorneys are ready, able, and willing to provide you with aggressive and professional representation. We have been most honored to represent the great people of Opa-Locka, Miami and South Florida for over 50 years. Please call us at (305) 285-1115 and let us answer your questions following your Opa-Locka car accident. The Miami personal injury lawyers and wrongful death attorneys of the Wolfson Law Firm have represented not only the citizens of Opa-Locka but also Miami and all of South Florida including Hialeah, Miami Beach, Overtown, Kendall, Doral, Naranja, Aventura, South Miami, Carol City, Homestead, Liberty City, Coconut Grove, Miami Gardens, Coral Gables, North Miami, Little Haiti, Midtown Miami, Fontainebleau, North Miami Beach, Tamiami, West Miami, Westchester, Northwest Miami, The Roads, Golden Glades, Edgewater, and Downtown Miami.